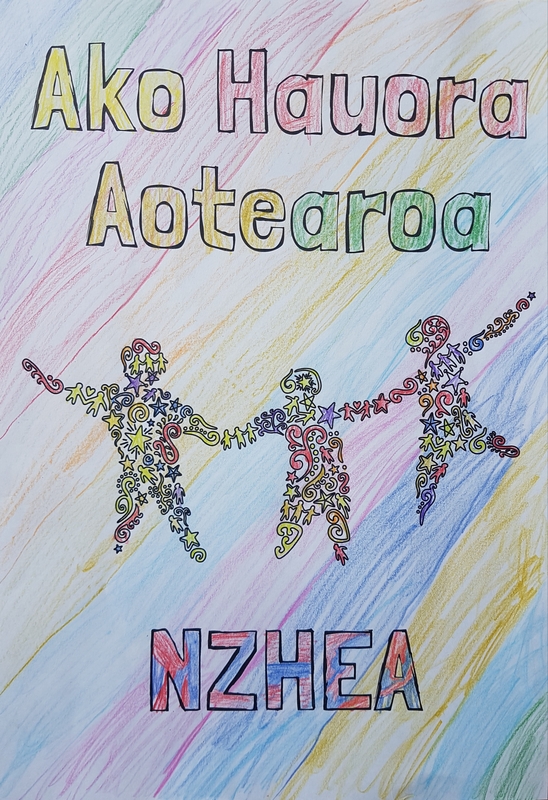 New Zealand Health Education Association (NZHEA) is an incorporated society that represents the interests of Health Education teachers in Aotearoa. 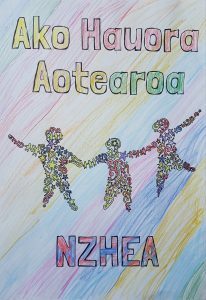 Our artwork at left represents the cultivation of student learning through the commitment, support, aroha, and compassion of kaiako across Aotearoa. The arms of the kaiako are the well-spring that provide nourishment to the soil, while the stingray, often seen as a guardian, weaves in the background showing the diversity of kaiako. 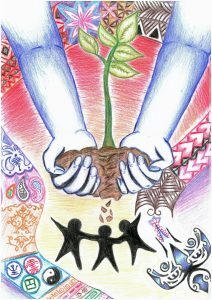 These combined represent how kaiako nurture, protect and encourage our tamariki to grow and flourish. Nourishing Aotearoa image created for NZHEA by Chelsea and Tyli Johnson, Tāmaki College, Auckland.